Spanish property has been attractively priced for many expats around the world since prices slumped during the credit crunch a decade ago, but the tide is starting to turn, and Spanish property prices are finally heading into positive growth territory. House prices in the country increased by 3.6% in the year to January 2018, or 3% when you take inflation into account, and hit €1,410 per square metre, according to data from TINSA. This compares with growth of just 0.96% the previous year – or realistic price falls of 1.92% when inflation is taken into consideration. The recovery, now it has begun, has been fast. Property prices across Spain fell by a total of 41.9% – or 46.8% when taking inflation into account – between Q4 2007 and Q3 2015 according to TINSA figures, but came back into positive territory in 2016 and has accelerated again in recent quarters. Most of this increase in both property transactions and prices has been driven by foreign buyers, with French, German, Italian, British and Swedish nationals buying property on the Spanish coast. What has prompted the property boom? One of the main reasons for Spain’s property crash was the high number of properties being built just before the crash, which ended up creating a glut of repossessed properties as buyers either failed to complete or simply could not afford to keep up repayments on a property, many of which were bought ‘off plan’. Just before the crash happened, around 735,000 properties were built in Spain in 2006 according to data from Knight Frank. In contrast, just 55,000 were built in 2016. So, the classic economic pressure of supply and demand has worked to push prices up in the country. Areas such as Madrid, Segovia, Melilla, Valencia have risen by between 2.2% and 2.5% in the first quarter of this year, which has resulted in Madrid being one of the most expensive areas in the country. The Salamanca area of Madrid has also become increasingly popular with wealthy Venezuelans who have moved to Spain in an attempt to escape the economic problems facing their home country currently, including rampant inflation and fiscal uncertainty. Spain also currently operates a ‘golden visa’ system, which gives anyone spending more than €500,000 on property the chance to receive a residency visa. This is something that has been highly popular with both Russian and Chinese investors, and while it does not enable you to work in Spain, you are able to live there. Of course, this property boom has also created a series of scams that unwary buyers need to be aware of, as the amounts involved in property purchases make any scam in this sector particularly lucrative. One of the main problems buyers have had is from buying ‘off plan’ – that is before the property is finished or, in some cases, even started. You need to be sure that what you are buying not only exists, but also has been built legally and is not likely to be subject to repossession by the local authorities or the State in the future. Finding a good lawyer will help you avoid such issues, and if you are required to use a specific lawyer by a property developer that is associated with that developer, then you run a greater risk of having a problem. So, if you have any concerns at all, you should walk away. What will keep the Spanish property boom in check? However, anyone thinking of buying a property in Spain still has a chance to bag a bargain, as there are a number of pressures that should work to prevent property prices spiralling too quickly out of control. For example, with Britons being one of the key buyers of Spanish property, it remains to be seen what impact Brexit has on this continuing trend. The likely outcome of Britain’s exit from the EU is a further fall in the value of the pound, which will mean any property being bought in euros will become relatively more expensive. Will Britons buy less property? The result could be that Britons – who until they know whether there will be a ‘no deal’ Brexit or a transition period that will create a more orderly exit from the EU – may be more reluctant to buy property abroad. 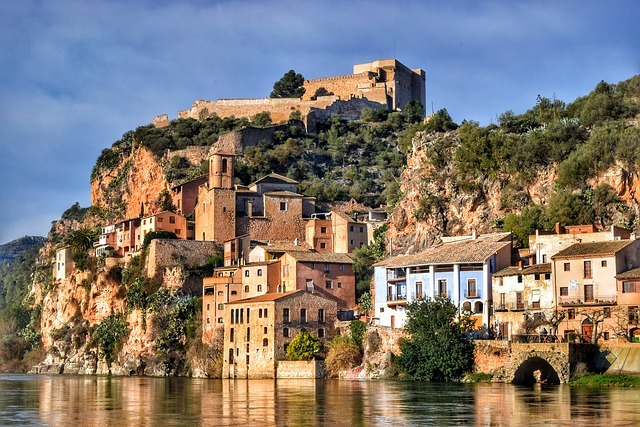 This may be a short-term reaction however, and there is also a chance that Britons who want to remain in the EU choose to access the golden visa by buying Spanish property worth more than €500,000. The levels of unemployment in Spain have dropped to their lowest level in a decade, yet remain relatively high compared to other European counterparts. Unemployment in the country fell to 15.28% in the second quarter of 2018. While this has dropped considerably in the last three years, there remains a stubbornly high rate of youth unemployment in the country. In June 2018, youth unemployment in Spain was at 34.1%, slightly up on the previous month, and just 3.5 of a percentage point down from the level reached in July 2017. While this may not have a direct impact on property prices, the economic impact of high youth unemployment will take time to filter through the economy, and could create additional downward pressure on property prices in future years. The stability of the euro will play a big part in the appeal of Spanish property, and with Brexit, unemployment and an ongoing economic recovery in many areas, it is not easy to see what will happen next to the euro. When you consider where most property buyers in Spain are coming from, the impact of fluctuations in the euro is considerable. It is something that anyone looking to buy should consider, and they should consider using a currency exchange specialist to help limit their exposure to euro volatility. There are still many good reasons to buy Spanish property, but you should ensure you consider all aspects of your purchase to keep costs to a minimum. You need to think about using the right solicitor, understanding the process in your own language if you are not able to speak fluent Spanish, getting the right deal on your currency exchange, and of course finding the right property in the right area. Once you have your purchase completed, you can relax and enjoy your new home in Spain.